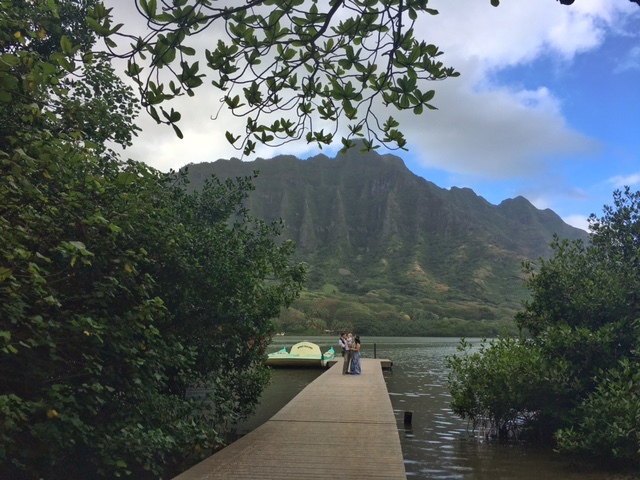 Rome and Ivonne tied the knot on April 10th, 2017 at the beautiful Pukalani Falls. It was an intimate and romantic ceremony in front of a beautiful cascading waterfall surrounded by their closest friends and family. A gorgeous couple inside and out, we could not be happier for these two. The professional pics are still being edited but heres a little sneak peak into their special day (photos+video by Best Day Ever) ~ Congrats Rome + Ivonne! Cheers to a lifetime of love and blessings! Special thanks to our Best Day Ever Team ~ Capt. Howie (officiant), Crystal Chanel Photography, Alika (musician), Heather at Delish Hair+Makeup, and Makiko / Sand Dollar Florals for helping us to make their wedding day so special! Congratulations Rome & Ivone ~ Best - Day - Ever! Madeline + Nick got married on March 6th, 2017. 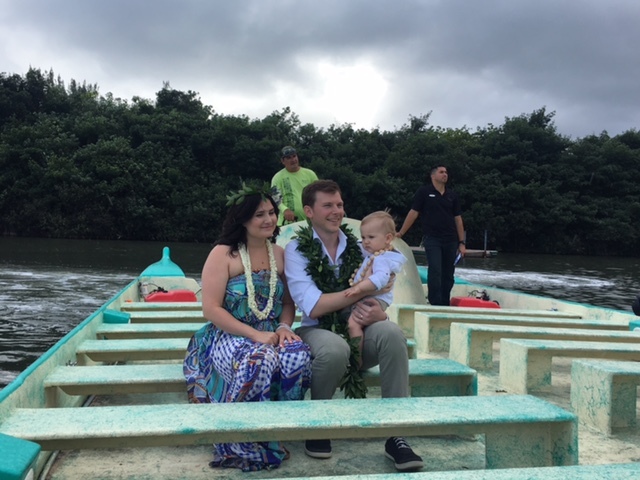 It was a perfect little ceremony held on Secret Island with just the bride, groom, and their almost 1 yr old son, George. I could not imagine a more wonderful way to start ~ forever ~ together! Congratulations Nick, Madeline and baby George, we wish you all a lifetime of LOVE, kisses and blessings! Cheers to your "Best Day Ever"! Congratulations to Madeline & Nick! A BIG Congratulations to Danny & Nancy! 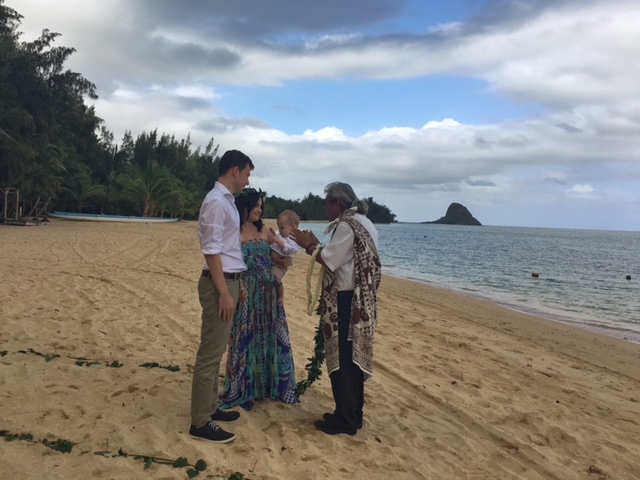 Matt & Kirsten got married on January 26th, 2017 on the beautiful Waimanalo Beach on O'ahu, Hawai'i. It was a simple but oh-so-sweet perfect little beach ceremony, with just the bride, groom and an officiant. I couldn't imagine a more romantic moment for these two as they said their vows and shared their first dance on the beach together. A big Congrats to Matthew & Kirsten! Cheers to your Best Day Ever! Drew and Elizabeth said "I do" at the Outrigger Country Club on October 7th, 2016. It was an intimate and special day for the couple and their families. It was a day filled with tears of joy, family laughter, hula, yummy food, kisses, lion dances and so much more. It was one of my personal favorite weddings and one I feel we'll remember forever. Liz & Drew, it was an honor to be a part of your special day, thank you for trusting us with such an important moment. We hope you were able to enjoy every moment of it and we wish you a lifetime of blessings, kisses and good wishes! A BIG Congratulations to Drew & Liz! Donal and Laura traveled all the way from Ireland to say "I do" here in Hawai'i. They got married on October 12th, 2016 at Papailoa Beach on the North Shore of O'ahu. It was an intimate and beautiful wedding for one of the sweetest couples we've every had the pleasure of meeting. With the sun setting behind them as they said their vows with their toes in the sand, I don't think this day could have been any more perfect. They even had one of the bridesmaids serenade them after the ceremony. What a special and magical Best Day Ever! Congratulations Donal & Laura! We hope that your wedding here in Hawai'i is one that you'll remember forever! A BIG Congratulations to Donal & Laura! 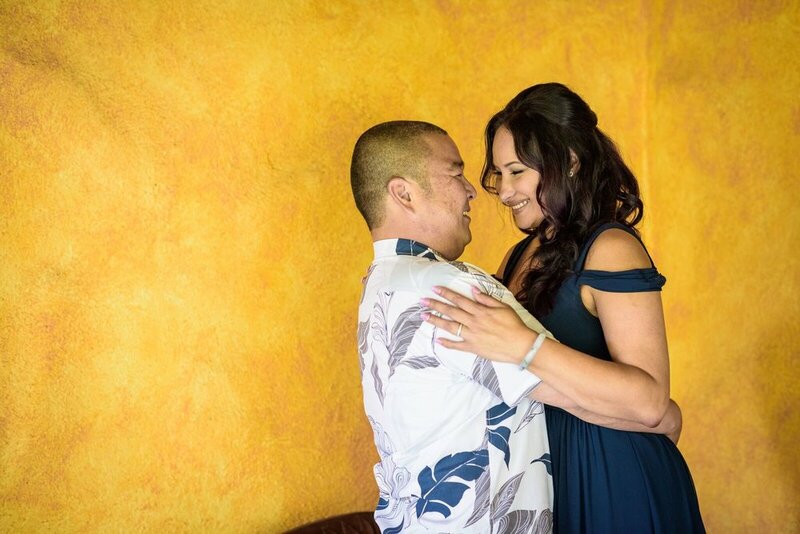 Christopher and Jennifer tied the knot on October 30th, 2016 at Papailoa Beach on the North Shore of O'ahu. It was a simple and intimate ceremony attended to by their closest friends and family and of course their sweet little 7 month old baby boy. A beautiful couple and family, we could not have been more honored to be a part of such a special day. Thank you to you both for trusting us with such a special moment. We hope it was one that you'll remember forever and always look back at fondly. Cheers to you and your Best Day Ever! A BIG Congratulations to Christopher & Jennifer! Surrounded by family and friends, Jason and Carolyn finally made it "official" on their 13th year anniversary at the beautiful Pukalani Falls in Waimanalo. It was a sweet and simple ceremony led by Captain Howie that started with an extraordinary conch shell blowing and ended with an extraordinary kiss. A lovely couple inside and out, I could not imagine a more special moment and day for these two and we were honored to be a part of it. They told me they're not a photogenic couple but I couldn't disagree more, what a magical day and couple! Congratulations Jason and Carolyn, we hope that January 17th, 2017 is a day you'll remember forever!